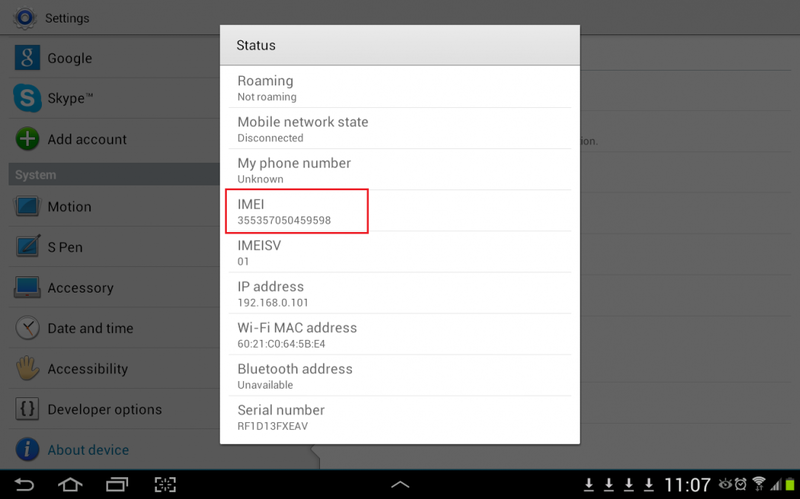 This shows step by step on how to find device ID (IMEI) on SamSung Android devices. 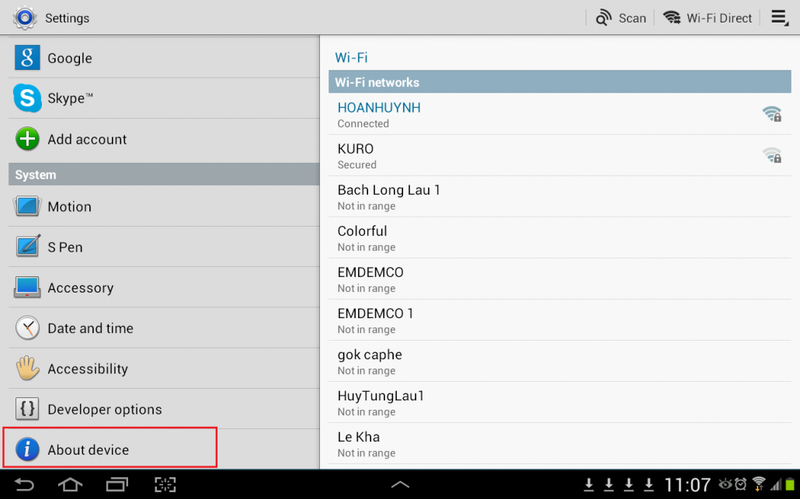 I used the device ID is used for testing push notification on Android application. Of course, you can use the device ID for your own purposes. And my device in this article is Samsung Note 2. 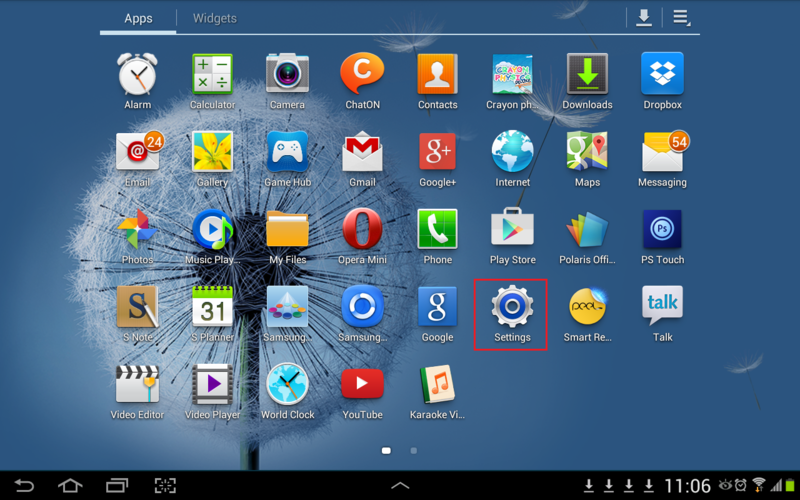 Below are steps to find device ID on your Samsung Android device. 1. Touch on Settings on the home screen. 2. Touch on About Device on the left panel. 3. 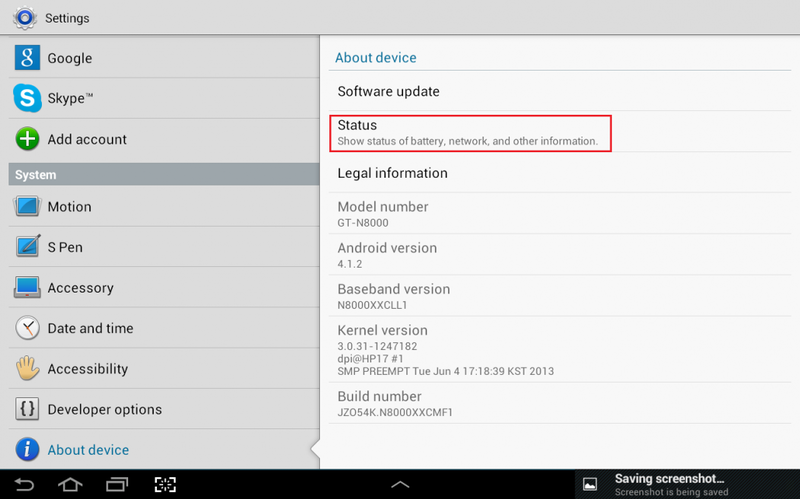 Touch on Status (Show status of battery, network and other information) on the right panel. 4. IMEI is the device ID on your Android device. Also on the Status screen, we can find the IP Address, Wi-Fi Mac address, Serial number, etc of the Android device beside the device ID.